As we’ve already established, your credit payment history (the biggest slice of the pie chart) counts for about 35% of your credit score; so making sure you do everything you possibly can to establish, maintain, or improve your own personal history is huge for you. If you’ve resolved to turn a page in your life and start doing things differently when it comes to your bills (and if you’re reading this blog, that’s exactly what you’ve done), then this is the place to start. 1. How often have you failed to pay on time? 2. How far “past due” were you? 3. How much did you fail to pay? Pay everything on or before the “due date” if you can. Use an automatic payment system for loans with fixed payments (installment loans, mortgages, etc. ); and for revolving credit payments establish a reliable calendar or “reminder” system that you can count on. Never “skip” a payment. Even if you can’t pay a bill on the due date, don’t just let it go for a month. Creditors normally don’t report a “late pay” to the credit reporting agencies until an account is 30 days past due, but there is no guarantee that they won’t. If you find that you can’t pay a bill until it is 10 or 20 days late, make the payment as soon as possible. Above all, don’t let the account go unpaid for 30 days. If you’re “short” in a given month and you can’t pay all your bills, do whatever you have to do to come up with the necessary money. Borrow it from a friend, draw down on your savings if you have any, sell something of value on, whatever; just don’t let any of your creditors report that you are “late” on any of your accounts. If all else fails, and you’re facing the prospect of two late pays in a single month because you can’t quite get the money together to pay them both, then pool what you have available and pay one of them. Two late pays is much worse than one. If your minimum payment is $50 and you only have $25, don’t just send in the $25 and call it good. This will register with your lender as a missed payment, and after 30 days it will likely be reported as a “late pay.” Instead, wait a few days if you must, find the additional $25 and send in the $50 payment as soon as possible. If your financial life is in a bumpy stage (maybe you’re facing reduced hours at work, or more expenses than normal) take stock of your revolving credit. If you have several cards, they’re all going to require minimum monthly payments. If it looks like you might have trouble meeting the “minimum monthlies,” consider transferring some balances as necessary to pay one or more down to zero. This will reduce the chances that you’ll end up later with a “30-day” on your record. 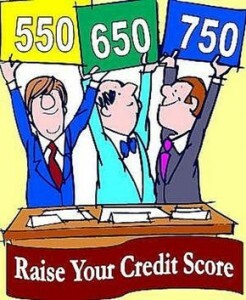 There’s one more consideration that doesn’t necessarily affect your credit score, but it’s still very important. If you’re only a few days late on a credit card, the lender probably won’t report a “late pay,” but a “late pay” isn’t the only bad thing that can happen. Depending on the terms of your credit card contract, the lender might be entitled to raise your interest rate on the card if you’re late only a few days. You want to avoid this result whenever you can. Remember look out for next week’s blog on “What You Can Do to Improve Your Credit, Starting Now”, Step 2—Control Your Use of Available Credit. To learn more about getting a mortgage with bad credit call InCreditable Advisors today at 317.837.4969 to schedule a free consultation with one of our friendly credit advisors.